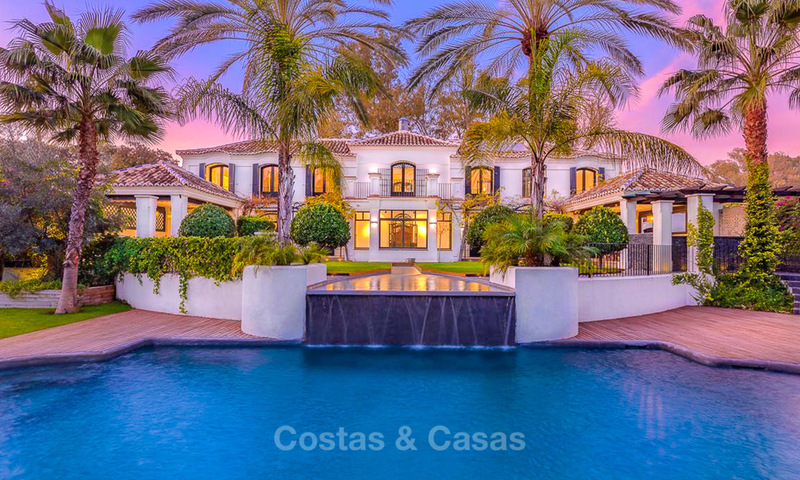 Here you will find a selection of prestigieus and exclusive properties for sale in Marbella or any other place at the Costa del Sol. At the end of a cul-the-sac, offering privacy and tranquility. Overlooking the golf course towards the Concha mountain peak. 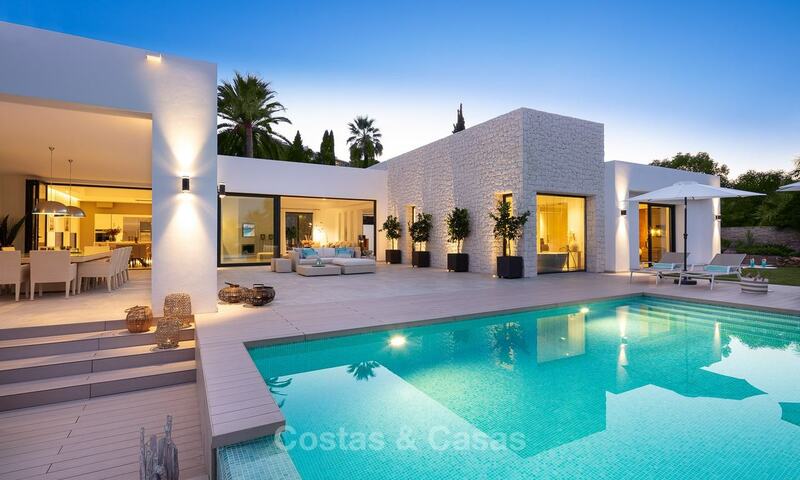 Very spacious, opulent villa in contemporary style. Back on the market. Further reduced in price! 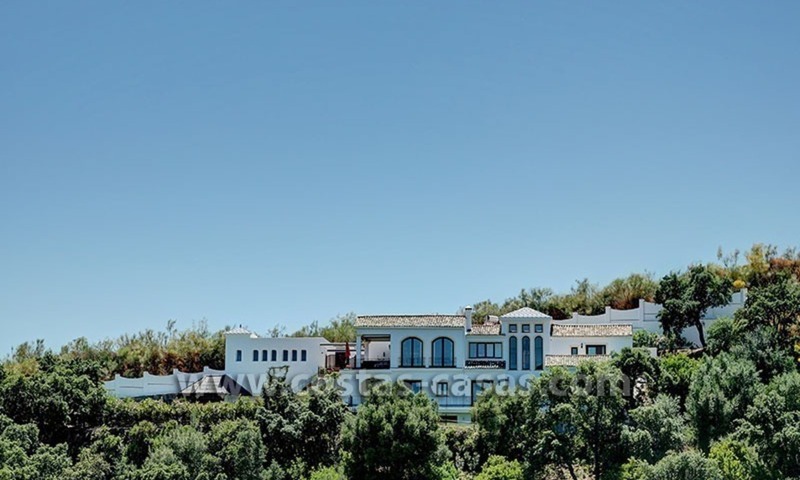 Located on the grounds of a premier country club and boasting unobstructed panoramic views of the Mediterranean Sea, this spacious south to southeast facing villa offers both privacy and comfort. 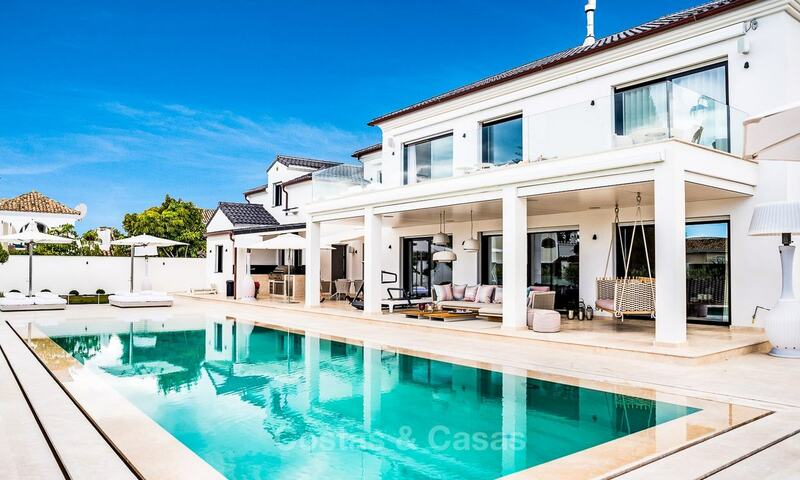 The villa sits on a large plot of 2,850m2 and is surrounded by lush and fully-mature gardens. The grounds boasts a private heated swimming pool, a bar with adjacent barbeque area, storage rooms and a poolside shower and changing room with toilet. REDUCED IN PRICE! Opulent, unique, south facing luxury villa. Panoramic sea - and mountain views. 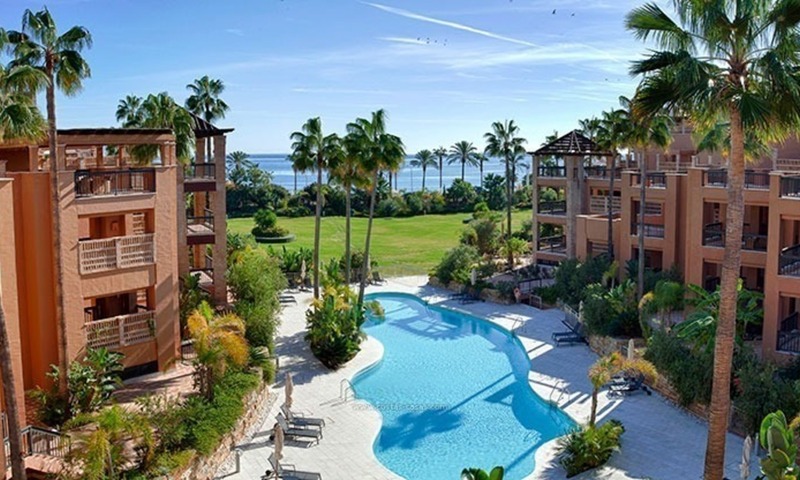 In an exclusive, gated, 24h secured urbanisation on the Golden Mile. Unique, modern style architecture with top-end finishes throughout. Plenty of private areas for entertainment and relaxation in- and outdoors. Generous and stylish open plan designer kitchen. 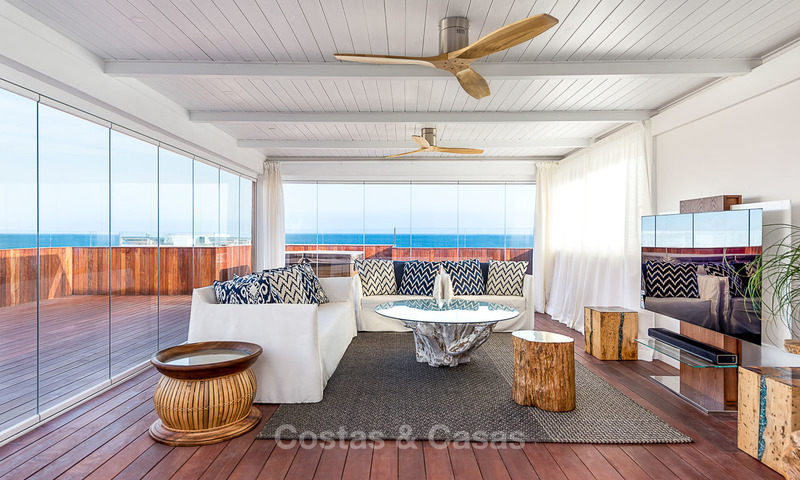 Spacious and very luxurious master suite with terrace, dressing and make-up areas. Panoramic gym area. 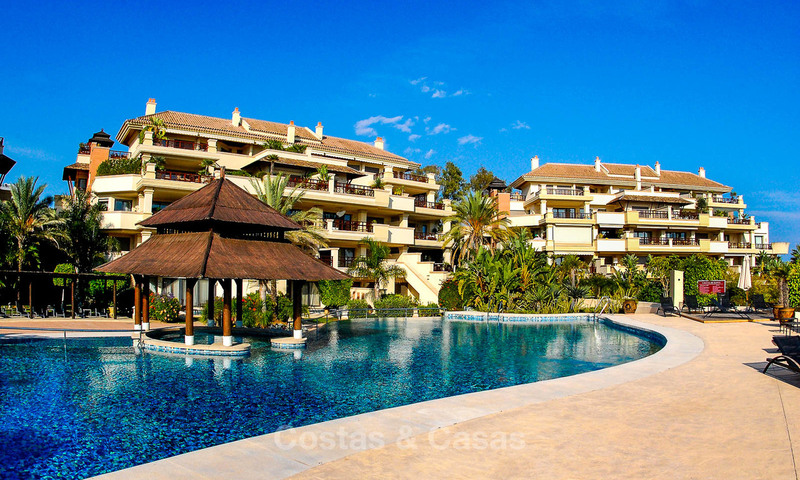 3 Heated infinity pools with 2 pool houses Beautiful garden with impressive trees and shrubs. Staff and / or guest quarters. 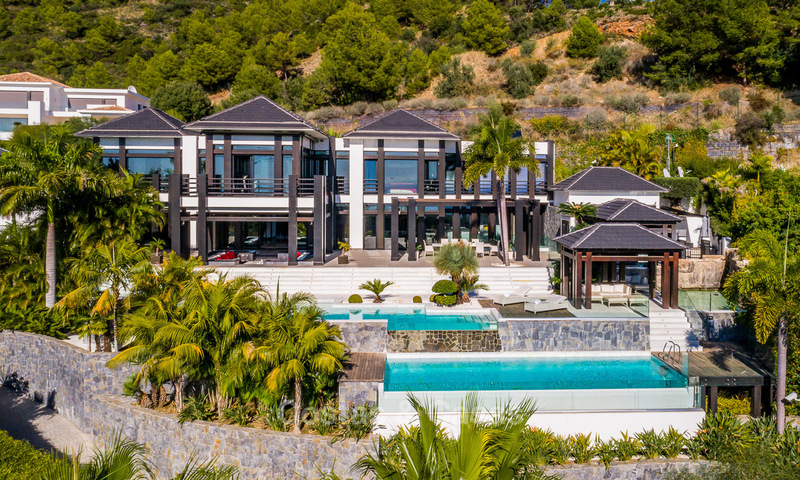 In a prestigious golf resort in sought-after Benahavis. Panoramic sea and mountain views. Very modern design with large interior and exterior areas. 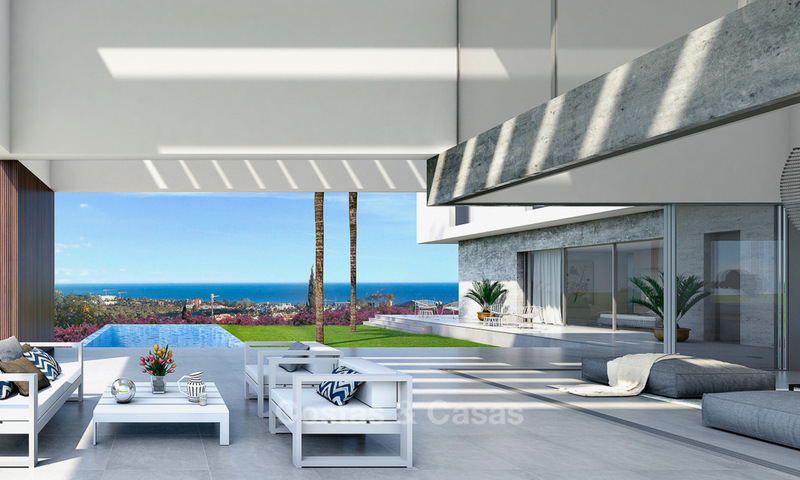 Huge plot in the exclusive La Zagaleta community. 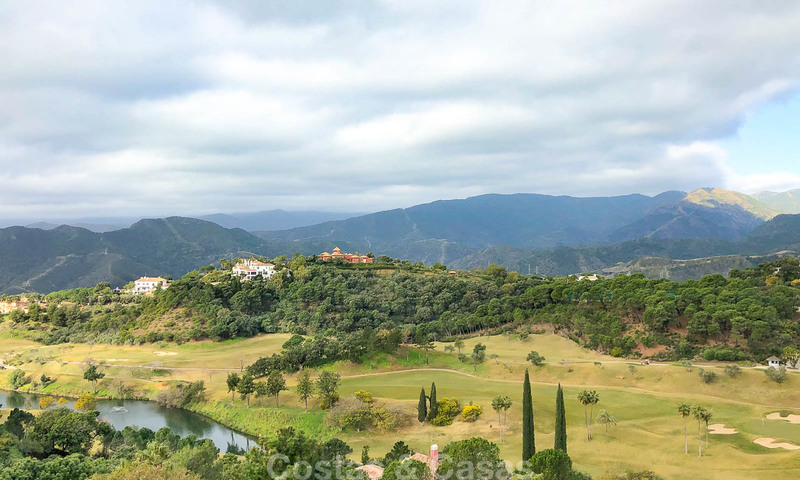 Sloping plot, front line golf with associated views.